Over the years, many beginning teachers have turned to substitute teaching when they had trouble finding a full-time job or when they needed a more flexible position while working on an advanced degree. The pay wasn’t great, benefits were scarce, and there were no guarantees about how many or what types of assignments you would be given as a sub, but the job did offer a number of advantages for those who wanted to pursue a teaching career. Not only did it allow you to gain valuable classroom experience, but it also gave you the opportunity to build your reputation as a good teacher and possibly push your name to the top of the list when a full-time teaching position became available. Plus, even if the paycheck wasn’t that big, at least it did bring some money in the door. On top of that, if you happened to live in or near a larger public school district and you weren’t too picky about which assignments you accepted, you could potentially work almost every day you wanted. Many districts even employed full-time subs, offering a fixed salary – and benefits in some cases – for those who agreed to always be on call and fill whatever assignment was needed for the day. 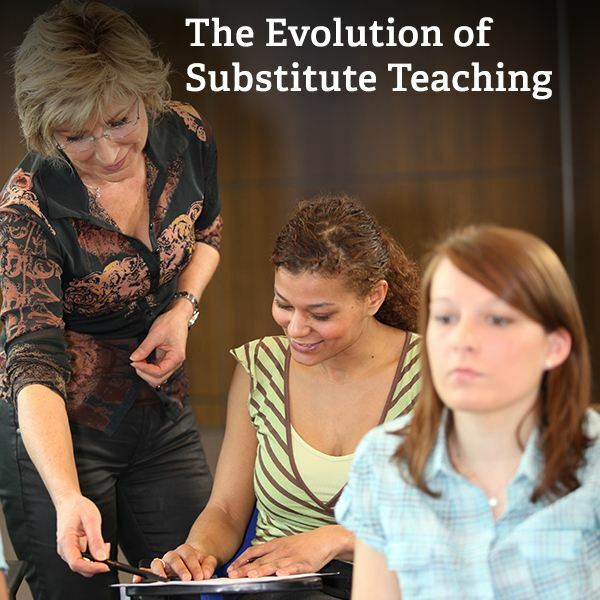 In short, being a substitute may not have been every teacher’s ideal job, but it did help pay the bills and it often opened doors leading to better opportunities. All across the nation, businesses and other organizations have felt the pain of the down economy and are trying to figure out how to “do more with less." Public school districts have been hit just as hard as any other entity – if not harder. Budgets are being cut, teachers are being laid off, and many schools are closing completely. What does an organization do when there’s not enough money to go around? It starts looking for “unnecessary" expenses to trim. Because of this, the budget for substitute teaching has been reduced to bare minimum in many districts. Well, just because a district can’t afford to pay substitute teachers, that doesn’t mean they’re no longer needed, right? Not everyone would agree with that last statement. For instance, in an Education Week editorial piece, John Fitzsimons puts forth several interesting points why he believes that substitutes aren’t needed to cover short-term absences of high school teachers. Instead, he suggests that teachers work out a plan with their students which discusses what they should do if the teacher is absent. These plans could include self-study options, working on group projects, or auditing other classes. While many may agree with the claims that high school substitutes are more akin to babysitters than teachers, there has still been a lot of backlash to Fitzsimons’ proposal. But, is that really because people don’t feel high school students are mature enough to be left unattended at school or because this proposed change questions the way things have always been done? While Fitzsimons’ proposal may be viable for high school, it’s definitely not a solution for lower grades in which children need supervision – whether they’re in school or not. In these cases, what can be done if there’s not enough money to pay for substitutes? The Nampa School District in Idaho is trying a different approach. Instead of hiring paid substitutes, the district is asking for volunteers. According to the Idaho Press-Tribune, volunteers “will be required to pass a background, drug and reference check" but they won’t have to take any special training courses. It will be interesting to see if this experiment pans out. If it is even remotely successful, will other public school districts across the country try implementing a similar plan? Unless school districts receive significant increases in their budgets – and that seems unlikely to happen any time soon – or other methods of cost control are implemented, we’re probably going to start seeing quite a few reform efforts that address substitute teaching. This may not be such a bad thing, but it does bring up an interesting question. How much longer will substitute teaching be a common rung on the education career ladder? If you’re a substitute teacher, what types of changes have you seen over the last couple of years? And, are they for better or worse? Is it harder to get a job subbing nowadays? If so, why? Groff, Nick. “Nampa School District to allow volunteers as substitutes.” Idaho Press-Tribune. September 12, 2012. Retrieved October 19, 2012. Source. Fitzsimons, John. “Don’t Hire Substitute Teachers in High School.” Education Week. Retrieved October 20, 2012. Source.